WaterField Ships iPhone 5 Cases to Fit iPhone 5 Within Third-party Shell or Hardcase - WaterField Designs introduces specially-sized, protective iPhone 5 Cases—the iPhone Wallet, the Smart Case™, the Suede Jacket™, the Hint™—in special sizes to fit the iPhone 5 when encased in a third-party, play-through shell. WaterField also offers snug-fitting sizes of each of these cases for the ‘naked’ iPhone 5. Cases begin shipping this week from WaterField’s San Francisco workshop. 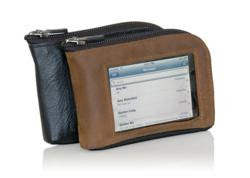 WaterField Designs, a leading San Francisco manufacturer of custom laptop sleeve, bags and cases for digital gear, introduces specially-sized, protective iPhone 5 Cases—the iPhone Wallet, the Smart Case™, the Suede Jacket™, the Hint™—in sizes to fit the iPhone 5 when encased in a third-party, play-through shell. WaterField also offers snug-fitting sizes of each of these cases for the ‘naked’ iPhone 5. Cases begin shipping this week from WaterField’s San Francisco workshop. 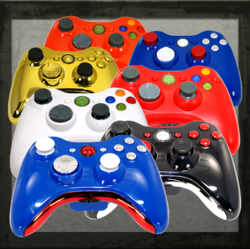 Utilizing the custom Create-a-Controller design software allows the user to create a custom modded controllers with ease, users can choose from every color, pattern and finish GamerModz offers in their enormous inventory. Building from the largest selection of Xbox controller parts in the world gives the user over 5 billion possible combinations virtually guaranteeing their ability to build the perfect controller. After users of the Create-A-Controller software design their modded controller, GamerModz gives them options to fit nearly any budget. GamerModz allows users to choose Parts Only, Send-In Service or Pre-Built. These options allow the user to buy just the parts (Parts Only), send their controller in for GamerModz to install the parts (Send-In) or purchase is built, shipped and ready to go when it arrives (Pre-Built). Shop GamerModz® Modded Controllers for LE$$ / Price list Click here! Nikon Announces the D600 DSLR—a Powerful Compact Full-Frame HD-SLR - B&H Photo Video will be one of the first retailers to stock the new Nikon D600 Full-Frame HDSLR camera, designed to meet the needs of photography enthusiasts who demand outstanding performance and reliability, and unparalleled levels of control, speed, and accuracy. B&H Photo Video will be one of the first retailers to stock the new Nikon D600 DSLR camera, designed to meet the needs of passionate photographers who seek exceptional full-frame, high-resolution performance. For the first time ever, that level of performance is available in a compact, affordable HDSLR. 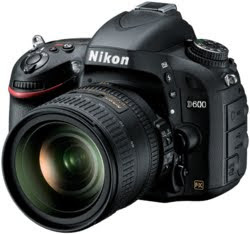 The D600 is Nikon’s most compact full-frame HD-SLR incorporates a 24.3 megapixel FX-format CMOS sensor that captures every detail with lifelike sharpness. EXPEED 3 processing system manages all that data with remarkable speed and accuracy, enabling up to 5.5 fps continuous shooting at full resolution. And the low-light performance synonymous with Nikon is again proven deserved—shoot crystal clear images from ISO 100 to 6400, expandable down to 50 and up to 25600 for extreme situations. Nikon D600’s 2,016 pixel RGB sensor evaluates every scene, taking into account brightness, contrast, subject distance and the scene colors and is referenced against an onboard image database for consistently accurate AE, auto white balance, i-TTL flash and subject tracking autofocus performance. The Nikon D600 camera details 39 focus points with wide-area AF coverage offer endless compositional possibilities. 9 cross-type sensors and 7 center focus points work all the way down to f/8 for extended AF functionality with teleconverters and long-reach lenses. When shooting photos or HD video in Live View, Nikon’s responsive contrast-detect AF activities for accurate full time auto focusing. Auramist Makes Headway With Top Quality Fans - Auramist Misting Fans are creating great waves of influence all over the internet with their high tech design outdoor cooling systems. New technology and advanced mechanics are not the only thing that are keeping your summers cool. Cooling Fans have been around for awhile, but apparently there's a new kid on the block! Auramist has their high-tech mister and cooling fans selling on shelves nationwide throughout major brand retailers. Heat can cause discomfort for both outside events and those held indoors as people forget to experience what has gathered them together and start complaining of unbearable heat. Besides, it is very uncomfortable for someone to sweat when taking a warm or hot beverage, thus heat can also act detrimentally to the appetite of guests at your event. Auramist displays a new technology of fans now available to the public, mentioning their different features and showing you a reason or two why you ought to have one for yourself. Auramist is now offering a range of misting fans for conscious living that will keep your gatherings cool by creating a comfortable atmosphere especially at the hottest months of the year. Their Velos 16-inch misting fan serves both indoor and outdoor environments. It reduces temperatures by up to 30°F because of its non-clogging nozzles capable of a fine mists that is dry when touched since the water is broken down to microscopic levels. On efficiency, the Velos uses eighty percent less water compared to other misting fans and is UV and rust resistant. You can use any standard garden horse or spigot to connect it to the mains water. The design is practical, portable and versatile. The Auramist cooling and misting fans are showcasing a full one year warranty. The Milo Auramist 18-inch misting fan is the latest company product that has a streamlined design and has the same unique technologies in addition to an onboard 2.7-gallon reservoir, which provides over 5 hours of misting when fully filled. The fan is 55.75-inch tall and is made from the same materials as other Auramist misting fans. If you have large areas, it is wise to consider theBrisaAuramist 30-inch misting fan offering the same benefits as the other misting fans from Auramist together with a one year limited warranty. Marantz SR7005 Review of The Home Theather AV Receiver Revealed - Marantz SR7005 Reviews are popping up all over the internet due to the increasing popularity of this audio receiver. Marantzsr7005review.org reveals whether this home AV receiver really offers the incredible sound it promises so people can truly kick back and relax. A Marantz SR7005 Review reveals whether this audio receiver is just another squeamish machine that seems afraid to throw out a fully powerful sound around the room or is it a bold, powerful machine that the manufacturers claim it to be. The Marantz SR7005 that replaced the SR7002 was released in August 2010. It has an A/V receiver with 7-channel, 3-source, 3-zone audio distribution capability and support for video performance and high-definition audio from multiple digital sources. The SR7005 has features such as content sharing, 6 HDMI v1.4a inputs with 3D, DLNA v1.5, and also supports high-definition multi-channel formats like DTS HD Master Audio and Dolby TrueHD. A Marantz SR7005 Review shows that the price includes high-quality surround sound along with the Dolby digital surround effects that transition perfectly during different sounds. The balance is well-designed, so the bass isn’t too loud and the enhanced surround modes don’t become overpowering or a problem. It is compatible with other products like Apple iPod, Apple iPhone, and iPod Digital Direct with a front-panel USB external control and input and comes with External control, advanced codes, Bluetooth connectivity, and it also decodes audio. No. 5: The Audio Port Is At The Bottom. The audio port on the bottom is one of the most revolutionary changes apple has made in the last 5 years. This way when in the car and charging the iPhone 5 and listening to audio via the auxiliary port in the car, it will not look like you are diffusing a bomb. Yes, Apple iPhone's are great but as in all technology, evolution must occur. As multitasking and dependency on technology becomes more prevalent, things must change. That thing, is screen size, the iPhone 5 will have a 5 inch screen size almost a whole inch bigger than that of the iPhone 4s. Even though the iPhone 5 will have a 28 pinned charging port unlike any other, it must stay F.C.C. compliant. In which a law was passed in 2010 making all cellular phones obliged to having a standardized port by 2012. The Apple iPhone 5 will be able to run off of a 2.4 amp micro USB car charger. Since an average micro USB car charger is lesser amperage, it must be Apples version, however they are still compliant. Need a little multitasking in the business department? The iPhone 5 will provide true multitasking. This means you can watch a YouTube video, and write and email at the same time just like you would be able to do one the computer! Luvvitt® Introduces Innovative Back Cover for iPad and for Logitech Ultrathin Keyboard Cover - The SILVERBACK™ Skin - The new iPad protective back skin features cutting edge pressure activation technology with micro-glass beads that fits around the device like real skin. 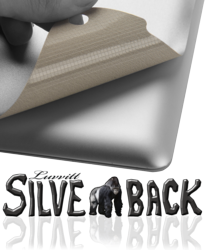 Aluminum colored Luvvitt® SILVERBACK™ Skin provides invisible yet invincible protection. Already known for their innovative iPad and iPhone accessories, Luvvitt® has hit yet another consumer homerun with the launch of their SILVERBACK™ Protective Back Skin iPad covers made specifically for the iPad 2, iPad 3 and Logitech Ultrathin Keyboard for iPad. The protective back skin features cutting edge pressure activation technology that allows the cover to be easily set in place, removed and repositioned with no adhesive or residues. The secret is in the micro-glass beads that fit around the device like a real skin. Amazon has just announced a family of new devices that are taking the world by storm! The new Kindle Fire HD and Kindle Paperwhite glowing e-Reader are available for international customers at Shop e-Readers. The new Kindle Fire HD 8.9 features a 8.9-inch, 1920 x 1200 display (254 ppi). One of the great aspects of the screen is that it is high-res and has a polarizing filter that drastically cuts down on the glare. Underneath the hood is a TI OMAP 4470 processor, which promises to keep thing speedy. It also has dual speakers, a front-facing HD camera, and HDMI out. One of the most exciting features is the new dual WIFI antenna, that will give you a faster internet connection then anything else on the market. This is the perfect device for someone who wants to watch 1080 P movies and enjoy a greater portability then the iPad. Various models are coming down the pipe with 4G/LTE internet access and normal WIFI models. The second new Kindle Fire HD features a seven inch screen with 1280 x 800 here resolution. This basically puts it on par with the Google Nexus 7. According to Amazon, you can expect 11 hours of battery life from the 7-inch model. Kindle Paperwhite is Amazon's answer to the Barnes and Noble Simple Touch with Glowlight and the new Kobo Glo. It features a six inch e-ink Pearl display with 62% more pixels for unsurpassed resolution and 25% better contrast for sharp, dark text. There are different options for this e-reader such as Special Offers and 3G internet access. The great thing about the 3G connection is that you don’t have to pay anything for it, which makes it a solid investment. All of these new devices are simply not available outside the USA. 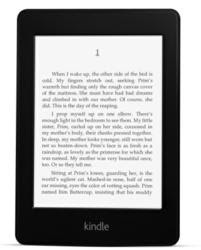 Amazon does not ship or sell them and Shop e-Readers will distribute these new products to customers worldwide. 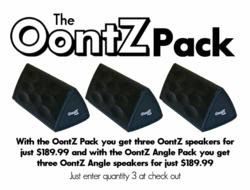 Cambridge SoundWorks Announces the OontZ Pack, three Ultra-Portable, Wireless, Bluetooth Speakers for Less than the Price of One Jambox™ - With the OontZ Pack you get three OontZ speakers for just $189.99 and with the OontZ Angle Pack you get three OontZ Angle speakers for just $189.99.